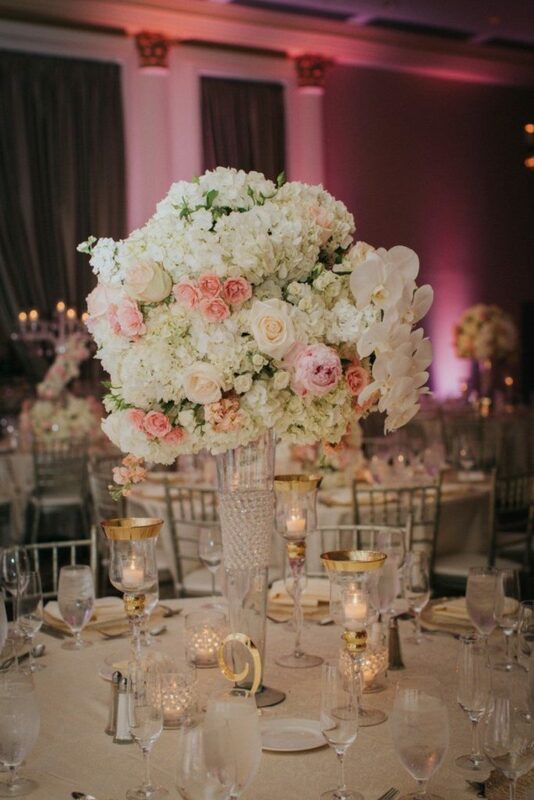 Romance was in the air at Hughes Manor for Kaitlyn and Christian’s beautiful vintage outdoor Houston wedding planned by The Savvy Event Consultants! 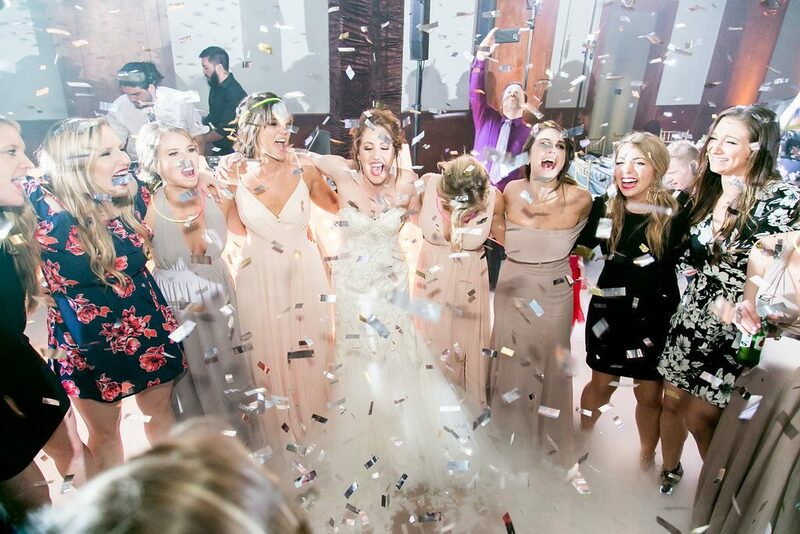 The atmosphere was absolutely dreamy beneath twinkling string lights surrounded by lush florals and all their loved ones, these stylish attorneys had their perfect Houston wedding! Cheers to the happy couple! 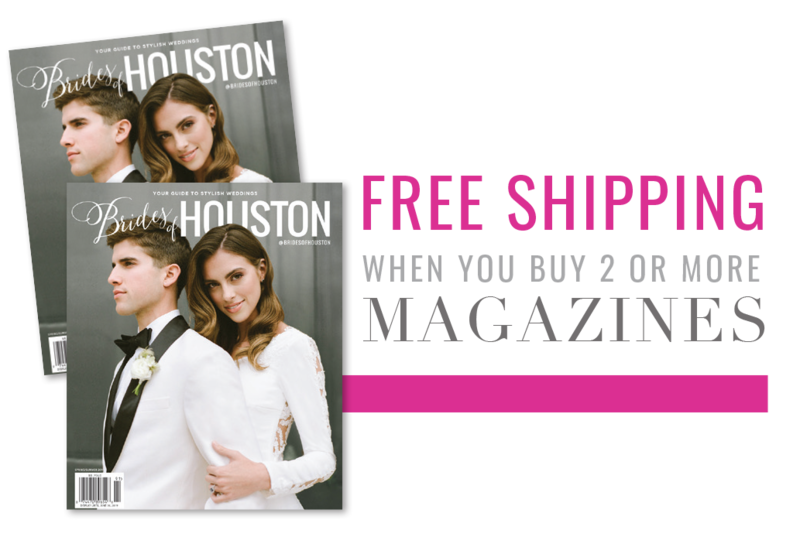 Kaitlyn and Christian are two native Houstonians who met in St. Louis. They were both attending law school at Washington University. Christian was a year ahead and offered to serve as a mentor to her when she started school a year later. After two-and-a-half years of just being friends, Kaitlyn made the first move. On a night out, Kaitlyn admitted she had a crush on Christian, and their first date ensued soon after! As Kaitlyn walked down the aisle with her dad, she couldn’t stop smiling, and Christian began tearing up. 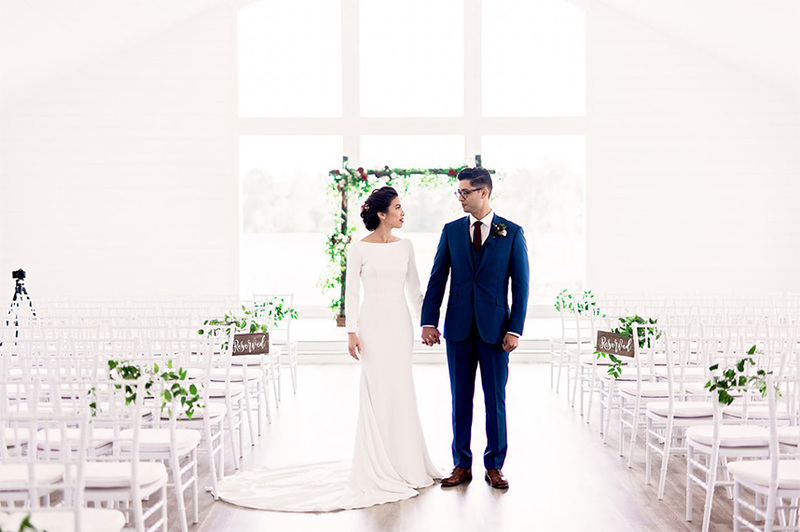 They read their own vows and incorporated their parents in a prayer. Guests were treated to cocktail hour and old school R&B at Hughes Manor. The decor was amazing, and the weather was incredible. 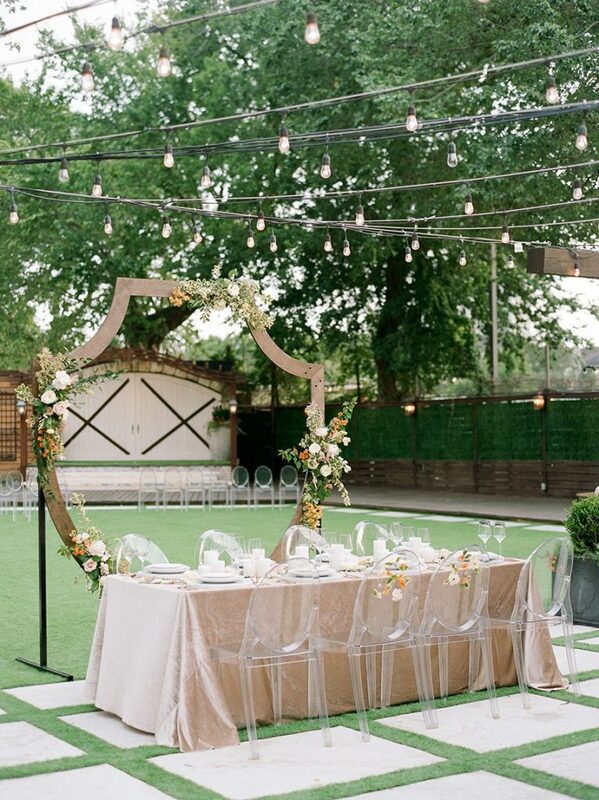 They got lucky and were able to have dinner on the outside patio with string lights hanging above.